Printing your own smartphone covers, jewellery and even replacement parts for your broken washing machine at home just became a cheaper reality. Electronics store Maplin has become the first major high-street retailer in the UK to sell 3D printers and is selling the Velleman K8200 for just £700. Previously, 3D printers were mainly available online and cost from around £1,800 up to £10,000. 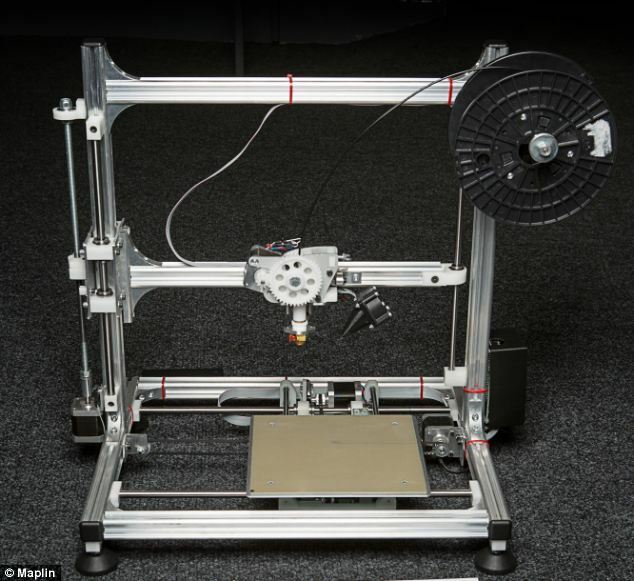 The K8200 3D printer is around the same size as a standard paper printer. 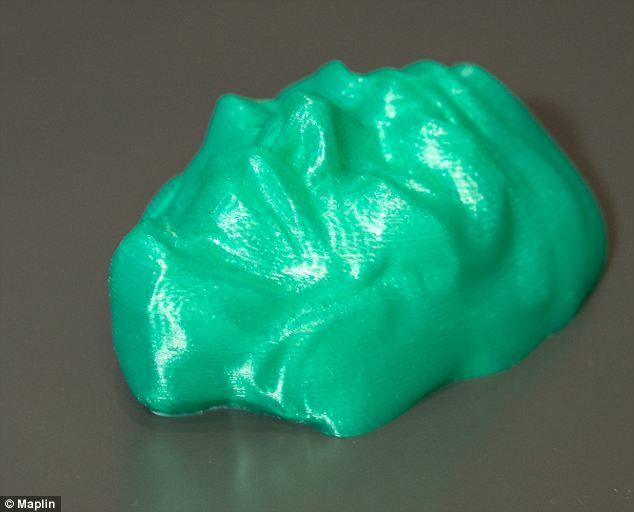 3D printing works by melting plastic filament and creating solid objects by building them up in very fine plastic layers. 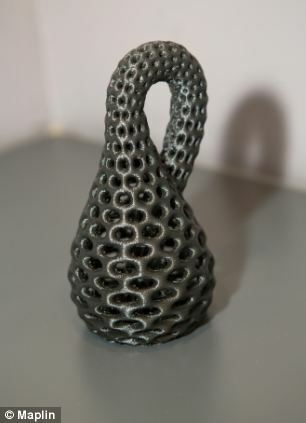 3D printers allow objects of any shape to be created from just a digital file. They work in an extremely simple way, by building up a 3D object from layers of material. Like a traditional inkjet printer, material, usually plastic, is laid down on a base. Further layers are simply printed on top, gradually revealing a 3D object. The technology is used in a huge range of industries from construction to aerospace. Shoes, jewellery and even dresses have been created, with designs often sold online. Many believe it could even lead to ‘mini factories’ for living rooms allowing consumers to print anything they want – from a bracelet to a replacement part for a broken household appliance. 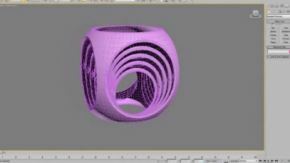 The first step is to create the 3D object design by using digital software on a computer. This design is then transmitted to the 3D printer which begins to build up the design layers in plastic. The length of time it takes to print a 3D object depends on the size and complexity of the design. For example a phone case takes around 30 minutes to print, while larger and more complicated items would take longer. In theory, anything that can be designed using the Repetier software can be printed using a 3D printer. According to Maplin, the only limit with the K8200 is the size of the 20cm x 20cm x 20cm printable area. 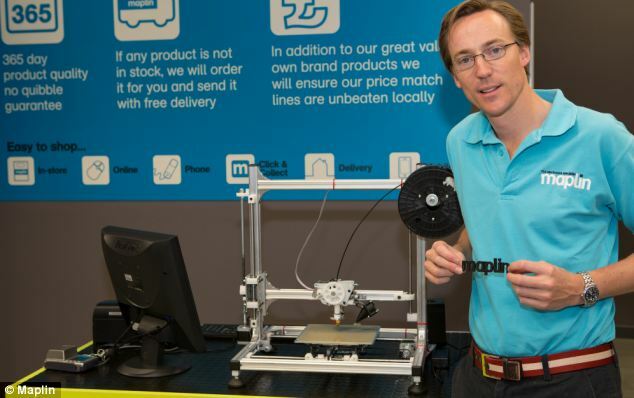 Oliver Meakin, Commercial Director at Maplin, says: ‘We have been excited about 3D printing technology for a long time, as its principles of innovation and creation sit perfectly with what Maplin has been doing for over 40 years. ‘Until now, the cost of 3D printers limited their use to the professional market. 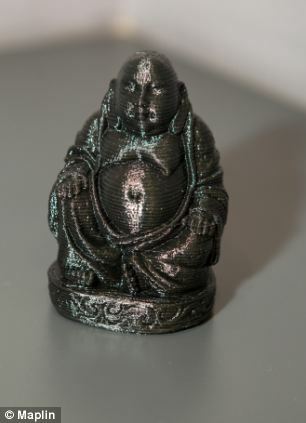 ‘However, the Velleman K8200 kit has enabled us to introduce 3D printing to the mass market. Customers could soon design their own items, go into a supermarket and have them printed in 3D. Tesco is working on developing new technology for a variety of products in its stores. Ideas include digitally making clothing, furniture, personal gifts and even food in their shops. The project could also see Tesco stores repair broken items or print spare parts for a product that has already been purchased. ‘We selected this model primarily because it offers high performance printing at an affordable price, making it accessible to our customers. ‘Our in-store Maplineers are technical experts in this field and therefore we are in a great position to assist our customers in understanding this product, which for many will be completely new. The Velleman K8200 3D printer kit will go on sale in selected stores this week priced at £699.99. It can also be ordered online from the Maplin website.